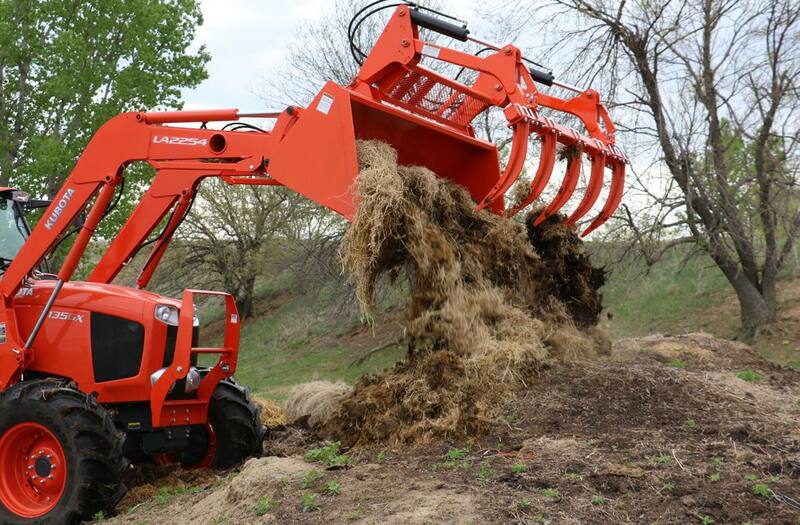 Land Pride’s GB25/GBE25 Series Grapple Buckets are available in three popular widths: 90", 96", and 108". 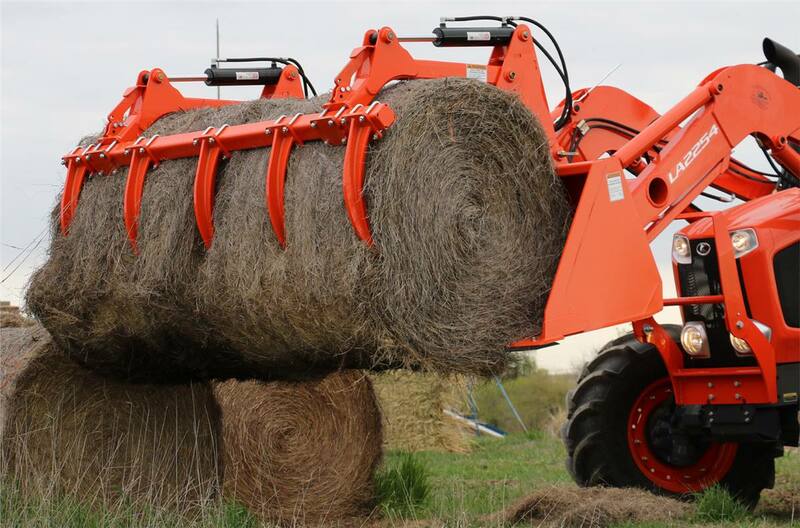 Each unit comes standard with the grapple claw and high-strength cast tines – 5 tines on the 108" models, 4 tines on the 90" and 96" models. 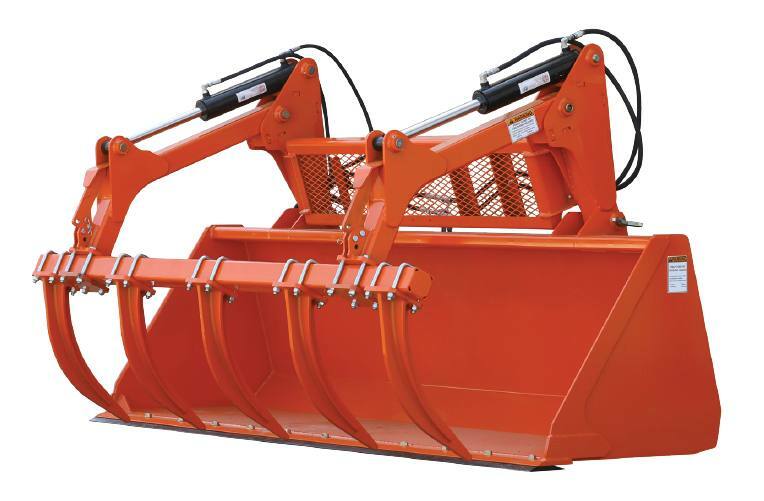 The jaw opening is 84” and is controlled by dual 3" cylinders. The bucket shell is manufactured from 3/16" Grade 50 Steel and features a struck capacity of 1.0 to 1.18 cubic yards depending on model. Weight (Optional BOE and Valve included): 1648 lb. Grapple Opening (With BOE): 84 in.